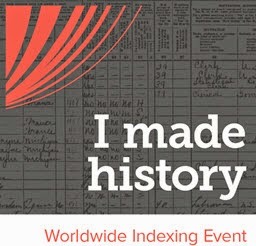 I had the pleasure of attending the recent New York State Family History Conference (www.nysfhc.org) in Liverpool, New York. Registrants had the option of choosing one of two preconference choices: a day of research at the Onondaga County Public Library (http://www.onlib.org/web/lh) or a guided tour of the Syracuse area. Since I am from the Syracuse area, I chose the library option. 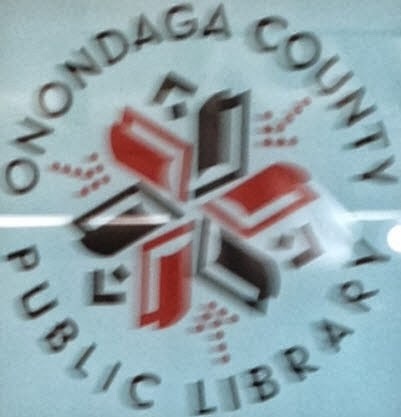 The Onondaga County Public Library (“OCPL”) has a fabulous collection of history and genealogy material for not only New York but also for New England, the Mid-Atlantic states, the South and the Midwest. Non resident OCPL cards may be obtained at the library service desk on the first floor. I filled out a short form and was issued a library card that is good for three years. I started my research with the New York Vital Records Index, which was available on microfiche. First, I looked in a Vital Index binder and found the microfiche number, and then I asked a librarian to supply me with the fiche. I was allowed three microfiche at a time and my library card was held as collateral. My goal was to verify the death date and location for some of my Taylor and Scripture ancestors. With this information I can more easily order death certificates. I had a 50% success rate. Not all towns complied immediately with the state records laws, so the absence of some of the death records is not surprising. My second project was to explore my Burdick line. I located a book entitled Routes to Roots: the Burdick Family Chronology by Frank P. Mueller. This book was very helpful, and I photographed key pages with my mini iPad. If you wanted photocopies, the library staff would copy them for you for a nominal fee. There were at least three other books on the genealogy of the Burdick family, but time was an issue so I made a note for future investigation of those sources. The ancestors I was searching for were Aaron Cutler (Civil War), Sampson Spaulding (Revolutionary War) and Daniel Boyden (Revolutionary War). In these books I found several references to my Beall, Brashear, Magruder and Bowie lines. There was much, much more at the OCPL such as historical maps, telephone books, city directories, manuscript collections, historical newspapers, clipping files, census records (state and federal) and cemetery records. Check out their online catalog (https://catalog.onlib.org/Mobile/Search) and make a list of resources you would like to consult. (Some material might need to be ordered in advance so it can be retrieved in time for your arrival.) Then, if you are in Central New York, spend a day there and discover all that this wonderful library has to offer. WORDLESS WEDNESDAY: What's in the Basket?